I am pretty comfortable solving medium level questions of CR but yet to attain a good accuracy level in 700 level questions. Considering there is a great bunch of questions on GMAT club , I want to solve those which are really GMAT like. I am sure you understand that the official practice questions (GMAT Prep, OG, Review Guides, Question Packs) will give you questions which are most like actual GMAT questions (since many of them were actual GMAT questions some years ago!). As for the practice questions developed by standard test prep companies, I can tell you only about Veritas Prep - our questions are based on official questions and go through multiple levels of scrutiny (and used as experimental questions) before getting a place in published material/practice tests. So any ambiguous language or debatable answers, if they do creep in, are taken care of before hitting the formal circuit. Also, LSAT has some additional question types which may not be relevant for GMAT but its official practice questions are unambiguous and good quality too. 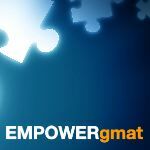 Looking at the question stem, you can say whether it is GMAT relevant so you can skip it if you so choose. Though, I believe that no LSAT question is "bad" practice. warrior1991, as of 10-15 years ago, the GMAT spent between $1500 and $3000 developing every individual test question, and even the most rigorous test-prep companies can't possibly compete with that -- especially since the current figure is undoubtedly much higher. So for verbal, your best bet is to stick with official questions of some sort. If you're trying to save some of the official GMAT questions for later, LSAT is the next-best thing for CR and RC. It's a bit harder than the GMAT, on average, and the format of the questions can feel a little bit different. But we've inflicted them on hundreds and hundreds of GMAT students, and the correlation between LSAT results and GMAT verbal results is strong, since the two exams test very similar skills. And you'll never run out of LSAT questions. More on the LSAT here. "700 level" CR questions represent a relatively small sub-set of the questions that you'll face on Test Day, so you might actually be better served at this point by working on other (re: larger and more-frequent) areas before you work on a bunch of tougher/rarer/harder question types that you might not see at all on the Official GMAT. I see that you are looking to practice “high-level” Critical Reasoning questions. However, would you also like some advice on how to improve your overall Critical Reasoning skills?